The Mi Max 3 really does stretch the definition of what can technically be considered a handset. Even with its extremely loose definition, the "phablet" category just barely seems to accommodate the massive 6.9-inch panel. 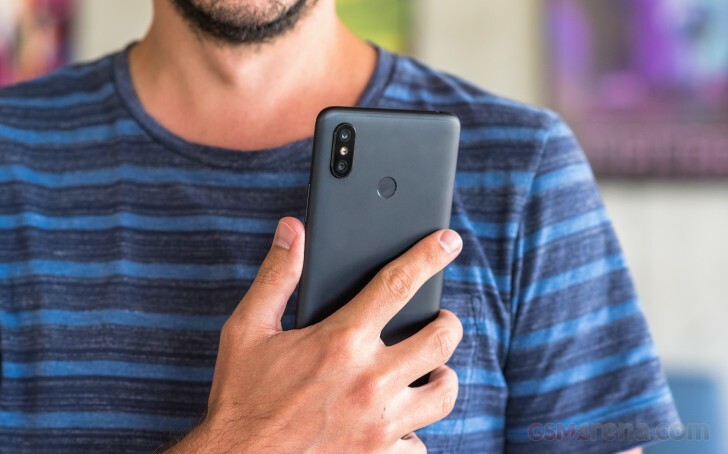 Whether or not you consider the Mi Max 3 a tablet or a phone, if you are looking into it, you have already subscribed to the particular footprint. If that isn't the case, we advise you to go and check it out in person first. But size is far from the only thing the Mi Max 3 display has going for it. For one, we appreciate that Xiaomi didn't cheap out and went for FullHD+ resolution. Frankly, anything less would have looked blurry at this size. The panel gets decently bright, which, as you can imagine, is a harder feat, as size goes up. It keeps light bleed at 0% in check fairly well, making for respectable, if not chart-topping contrast levels. The only real omission we came across is the lack of a max auto mode. Even so, the Mi Max 3 is quite usable outdoors. But color accuracy has to be the most impressively unexpected bit about the Mi Max 3. In its default "Adaptive contrast" mode, it managed to score a decently low average deltaE of 4.6 and a maximum of 9.2, in the white. A general blue hue was present all throughout the UI - pretty standard nowadays, even for some flagship phones. Increased contrast mode does remove some of the cold blue tint, bringing the average deltaE down to 4.4 and a maximum of 9. Pretty good, but we can probably do better, with some fiddling with the manual white point controls, Xiaomi so graciously provides. Luckily, before we started messing with those, we gave the "Standard contrast" mode a try and it left us truly amazed. An average deltaE of 1 and a maximum of 2.1. Those are values even most flagships struggle with. Especially out of the box. Xiaomi deserves plenty of praise in the color accuracy category. One of the potential perks of a massive footprint is an equally massive battery pack. The "potential" bit is important to note here, though, since space alone is no guarantee. We applaud Xiaomi for going as high as 5,500 mAh in the Mi Max 3. But, a huge battery can still be wasted away by powerful or sub-optimal hardware, as well as software. MIUI has a pretty solid track record in this respect leaving few points of concern when it comes to pure Android battery optimization. As for the hardware bit, the Snapdragon 636 might not be the fastest chipset around, not by a long shot, but it is a modern one, based on an efficient 14nm process. The Kryo 260 Gold and Kryo 260 Silver cores also feature quite a few improvements over their vanilla Cortex-A73 and Cortex-A53 counterparts. Putting all this together, we get a real endurance beast of a phone, with a total rating of 115 hours in our proprietary test. That definitely cracks the all-time top 10 in our endurance chart, but we still felt like this particular hardware setup should be capable of a bit more. Call us greedy, but the Mi Max 2 managed a better overall endurance from a smaller 5,300 mAh battery. Then again, it does also have a smaller display and an older, less powerful Snapdragon 625 chipset. Our best guess for where the variance stems from, however, is the different LTE modem. Both phones manage a consistent 3G talk time of around 30 hours, which, in itself, indicates that the newer X12 LTE modem is drawing a bit more juice from the larger battery pack. That extra strain, naturally carries over to standby, as well, which came in at around 380 hours, on the Mi Max 3. Our initial expectation were a bit higher. Enough with the complaining. At the end of the day, the Mi Max 3 is a true marathon runner in smartphone terms. It definitely won't let you down. 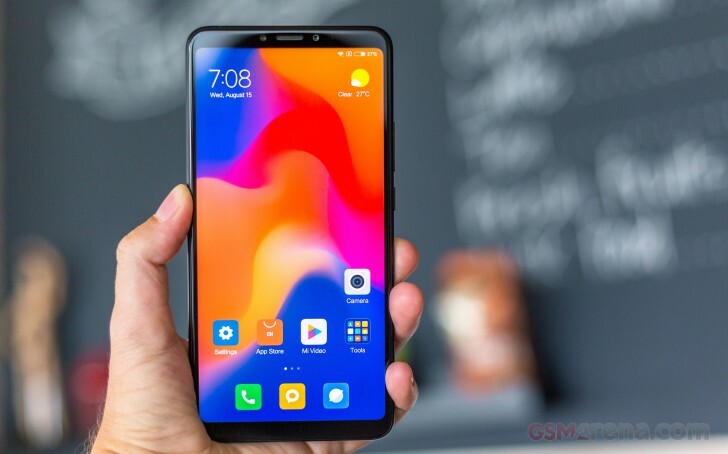 Our endurance rating denotes how long a single battery charge will last you if you use the Xiaomi Mi Max 3 for an hour each of telephony, web browsing, and video playback daily. We've established this usage pattern so our battery results are comparable across devices in the most common day-to-day tasks. The battery testing procedure is described in detail in case you're interested in the nitty-gritties. You can also check out our complete battery test table, where you can see how all of the smartphones we've tested will compare under your own typical use. The Mi Max 3 has a single bottom-firing speaker at its disposal. Or, at least, that's what all the official specs see, to quote. Interestingly enough, the phone does also utilize its earpiece as a second channel, during playback. It's not nearly as loud or clear, but still manages to improve the experience a bit, mainly because the main speaker is not firing in the same direction. If it was forward-facing, as well, the lack of balance between the pair would definitely be annoying. Anyway, we'll leave it up to you to decide whether to brag to your friends that your Mi Max 3 is stereo or not. In terms of loudness, the phone managed a "Very Good" score, making it perfectly decent for casual use. The same can be said about the loudspeaker quality - decent, but not impressive. 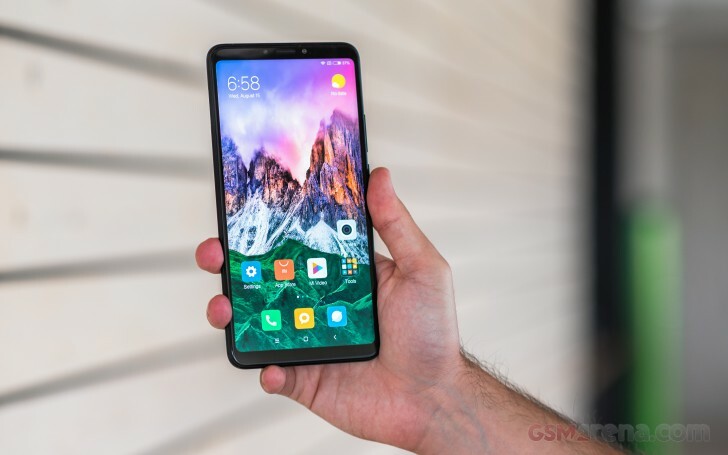 The Xiaomi Mi Max 3 had faultless output with an active external amplifier. Nicely high loudness and perfectly clear - the phablet ticked the boxes with ease. Better yet, degradation with headphones was minimal to non-existent - even the stereo quality was barely affected. Certainly one of the better performers out there, this one.